SEAL COAT – South Western Paving Co.
Seal Coat material is made up of liquid asphalt, fillers and Silica Sand, all emulsified into a slurry. There are approximately five manufacturers of this product in Southern California. The bulk product is normally sold extra thick and contractors add 10% to 15% of water to help spread the product evenly. The number of coats is based on the coarseness of the existing asphalt surfaces. 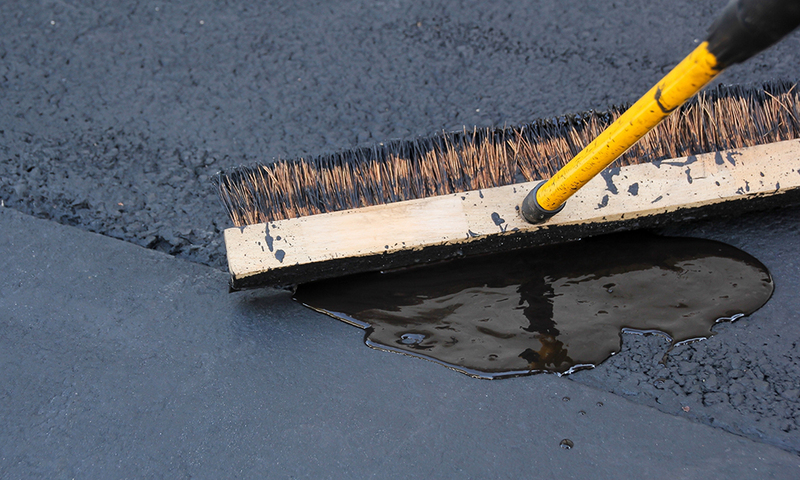 New asphalt requires one coat of approximately 20 gallons per 1000 sq.ft. Coarse asphalt normally requires two coats of approximately 30 to 40 gallons per 1000 sq.ft.